Forum Gallery of New York has now reached its fiftieth year and continues to install strong exhibitions of works by important artists. The gallery was founded by Bella Fishko in 1962. Mrs. Fishko, whose original name was Bella Gold, was born in Odessa, Russia. When she was ten years old she moved to the United States with her parents. After attending Hunter College and working for A.C.A. 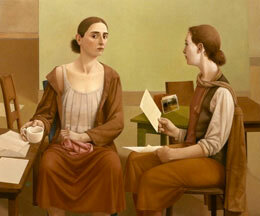 Gallery, she established Forum Gallery where she focused on progressive, socially significant, American figurative art. Her artists included Raphael Soyer, Chaim Gross, David Levine and Gregory Gillespie. Bella Fishko was a founding member of the Art Dealers Association of America in 1962. In 1986 Robert Fishko began working at the gallery. Two years later Bella Fishko retired and she was succeeded by her son. Today the gallery is under the direction of Robert and his wife, Cheryl Fisko. 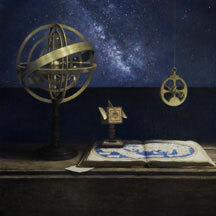 Forum Gallery represents more than thirty contemporary artists and estates including the American artists William Beckman, Robert Cottingham, Norwegian painter Odd Nerdrum, and the Spanish masters César Galicia and Guillermo Muñoz-Vera. The Fishkos continue to bring innovative ideas to their gallery. In 2001 they opened a gallery in Los Angeles directed by Niccolo Brooker. In 2007 they consolidated operations at their Fifth Avenue galleries and opened Forum57 at the Four Seasons Hotel in New York. Here guests "happen on" the exquisite art and tell others about it plus the art can be viewed 24/7. Forum57 has an "Art Concierge" that provides art information and exhibition schedules of all museums and galleries in the city. In addition, the gallery maintains an important secondary market inventory of twentieth-century and contemporary art, with a concentration on American and European modernism and figurative art. The gallery exhibits at major art fairs throughout the United States. 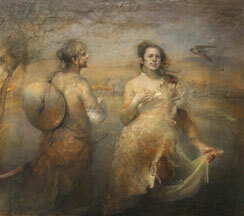 Forum Gallery has placed works in every major American museum and in private collections throughout the world.